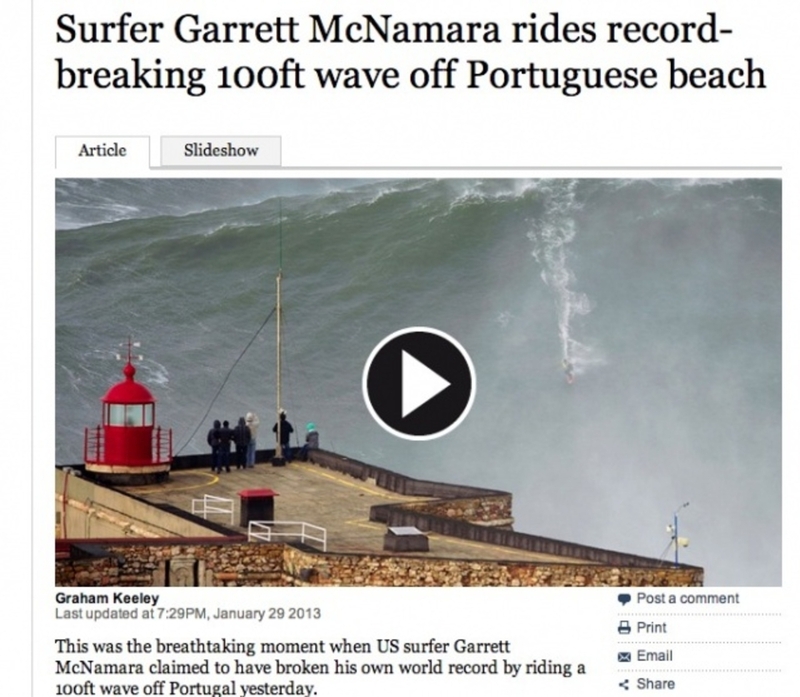 GARRETT McNamara is not claiming to have surfed a 100ft wave in Nazare in Portugal on January 28th, 2013. More pertinently he says "I don't even care how big it was, I just want to go surfing, I'm so over all of this measuring." Contrary to unsubstantiated mainstream news reports that 'GMAC has surfed a 100ft wave' Garrett has actually only claimed to have surfed a wave. 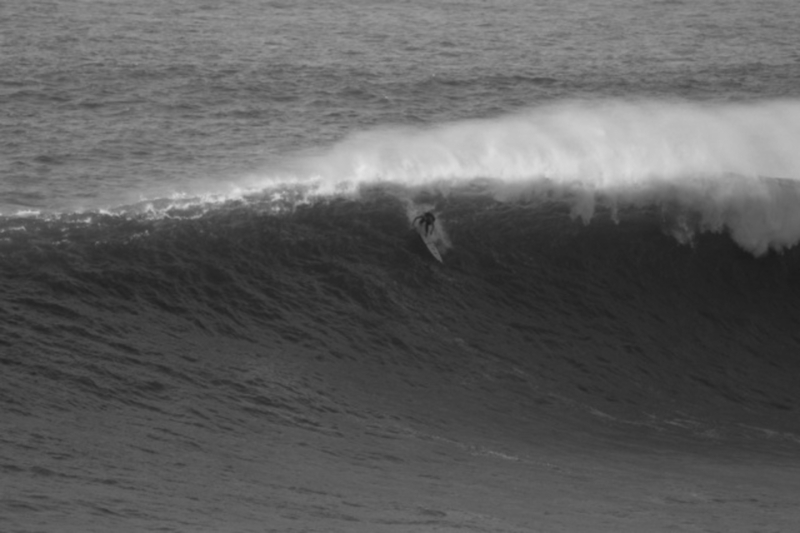 This is easily verifiable by looking at images and videos from the session at Nazare, he was indeed surfing a wave. The claim that he stated the wave he surfed was 100ft, or that any independent and recognised body is substantiating these claims are themselves unsubstantiated. It's frustrating to see headlines like these spiral out of control on the web as each site aggregates the original inaccuracy creating a wobbling edifice of Google indexed farce. A 100ft of bumf. Talking to Garrett as he set out from the harbour to surf another large clean day at Nazare he said "I'm honoured to be able to surf and the world is just having fun with it but I never claimed 100ft. I find it hilarious but also overwhelming and we're all just going surfing again." "I think I only surfed two or three waves on the 28th. I got bucked off a huge one, there was just so much chop, huge moguls. If you're not halfway down the wave when you start and this wave is just building and building and building and you''re at the top and you can't get to the bottom without going ... I don't know how fast. But too fast to stay on the board." "Traditional fins are sharp at the front which causes you to blow a hole in the water allowing you to turn more easily. But once you go a certain speed and your fins aren't rounded you will go sideways. But my fins are obviously rounded and I still went sideways - that is how fast you are going out here." When asked if he thought the constructive interference caused by the canyon will make a 100ft wave an inevitability? Garrett replied: "Only Mother Nature knows that, if we get the right conditions, but for now we'll have to wait and see." The Billabong XXL are the de-facto nominating authority on wave size and we asked Garrett if he recognised their authority to decree the height of a wave? "I just love to surf and I'm so over all of this measuring. It's so random how all this happened. A photographer posted an image on Billabong and it all went crazy. I really don't care. What I really feel like doing right now is hiding from the world and just going surfing." What Garrett did want to talk about was the potential of Nazare as a big wave paddle destination. "It's a great place to surf. We didn't have any skis yesterday as they were in for inspection. We paddled out from the village and met two skis out there who watched over us like hawks. I'll never turn down support as it's safer but we planned on going out there to do a real paddle. Not this new sport of 'tow paddle'. There's tow paddle, where your paddle board is dragged into position by a ski, and there's 'paddle paddle'. "We were confident if we lost the boards we could swim in through the shorebreak and you know I wanted to do that, to feel what it would be like. Kealli got some bombs, we both got washed though, it was great. I love it here." You can read our article on the souce of the claims here. 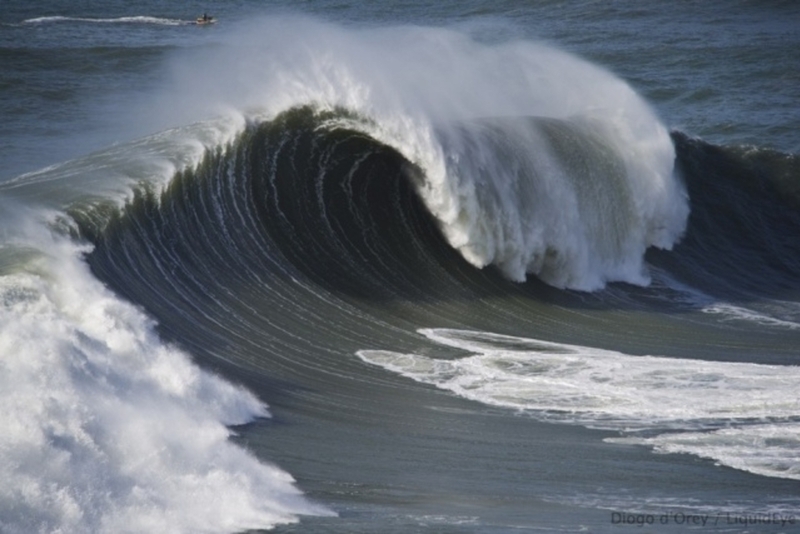 And the forecast for Nazare today? A clean 10ft at 14 seconds, you can check it here.